The discovery of the internet has revolutionized the way we live. It has offered us countless benefits among which the most important one is that it has brought the people together. By turning the world into a literal global village, the internet has offered us a chance to communicate with our relatives living in different parts of the world with consummate ease. The Internet has offered us this opportunity through business VoIP technology. VoIP or Voice over Internet Protocol is a set of technologies which allows you to have voice communications and to send and receive multimedia files over an Internet Protocol (IP) network. The VoIP services are known by many other names which include Internet telephony, broadband phone services, IP telephony and broadband telephony. The following are some of the benefits that you can gain by making use of VoIP services. VoIP services are extremely cost effective and can prove to be beneficial for enterprises that have a global presence and have to communicate with their employees present in different parts of the world. VoIP services do not cost much money for making long distance calls since you are not using the commercial telecommunication lines for communication purposes and are using the internet instead for the delivery of voice communication. Moreover, using VoIP services also eliminates the need of extra man power and equipment for the organizations and enterprises as well. They do not need to have separate PBX tie lines for each employee working in the office. The conventional phone services have a limited set of services to offer to the users. You can only make calls and send fax messages using the traditional phone services. A VoIP on the other hand brings to you a wide range of media services. You get the chance to have a video chat with your friends and family members living in different parts of the world, send instant messages to them and check out whether they are online or not. With VoIP technology you even have the opportunity to send and receive photos and documents too which is not possible when communicating through conventional phone services. A conventional phone handset is not portable meaning that you cannot take it anywhere you want. You will have to make your calls sitting in one place as the line attached to the phone won’t allow you to move away from a specific location. VoIP services remove these restrictions and allow you to move about freely from place to place while making voice or video calls. Since the VoIP services make use of internet instead of a phone line, you only need to have a working internet connection anywhere to make calls using the VoIP service on your Smartphone. Moreover, VoIP service providers offer business people softphones that they can carry with them on their travels while making use of the same virtual number that they have been assigned. VoIP installation is not that difficult a process and can be performed by just about anyone. In contrast to VoIP, the telephone lines can only be installed by a technician of the phone company. The installation process for phone lines is extremely difficult and time consuming while that of VoIP services is simple and quick. Maintenance work on the phone lines has to be performed by a certified technician of the phone company whereas you do not have to be a specialist in VoIP technology to do maintenance work if required when using VoIP services. The VoIP components are mostly software based instead of hardware and are thus easier to manage than the phone lines. VoIP offers users the chance to control the user interface of the service. This means that the users can easily change the features and options that are offered to them by the VoIP service provider. Typically a VoIP service provides a web GUI (Graphical User Interface) to its users which they can control. Features like speed dial, anonymous call blocking and setting of online or offline status give users a degree of control over the service that they do not have when using a conventional phone service. VoIP services are scalable in nature meaning that you have the chance to add more components to your existing network without having to make wholesale changes in infrastructure. With phone services, you will have to invest in cable lines and many other hardware components if you are planning on increasing your operations. 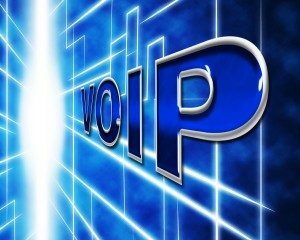 This is not the case with VoIP services since they use software for transferring voice into digital signals and thus can be altered much more easily than the phone services which use hardware for transferring voice into signals. VoIP technology offers you freedom from the geographical boundaries. When using VoIP services, the restrictions on area code belonging to a specific location do not apply which means that you do not have to live in a particular country to subscribe to its number. For instance, if you are living in Japan, you can still subscribe to a U.S or U.K number through the VoIP service. This way any of the calls you make to the U.S or U.K with that number will become local calls for you which won’t cost you as much money. 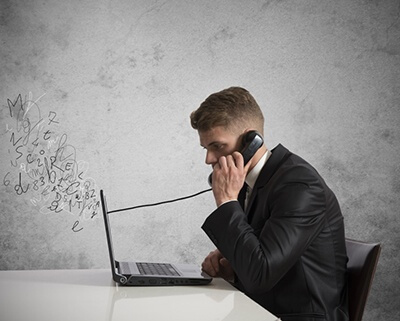 VoIP allows for the integration of many other services to the communication network. 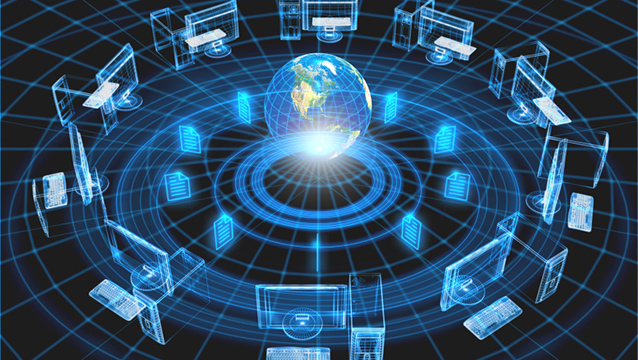 For instance, business can integrate their data center with the communication software of the VoIP. Now when a customer calls in, the VoIP Caller ID will detect the caller and access his files from the data center of the company. This way the customer service staff member is going to have all the details of the customer right in front on him while he is talking to him. Thus, it is clear that the VoIP technology has a number of benefits to offer to the average user and is especially beneficial for enterprises and large multi-national organizations.